Sometimes you have to knit a sweater because winter isn't over, but the kid has darn well worn through his favorite sweater. Yup. 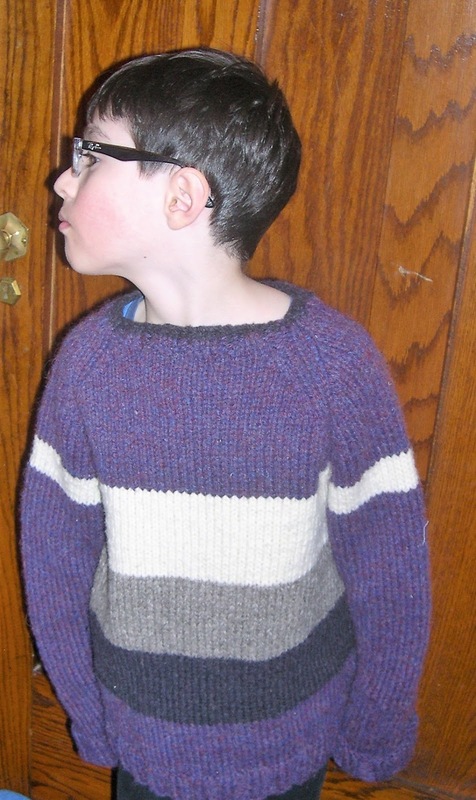 This is a new version of Stripe Freestyle in all Canadian yarns--all from stash in my house. I've got some Custom Woolen Mills yarn in here, some MacAusland's Woolen Mill yarn, and some specially made Seine River Shepherds yarn (grown in Manitoba, processed by Custom Woolen Mils in Alberta.). The kid dictated where the stripes should go, how much bigger the new one should be, the whole nine yards. 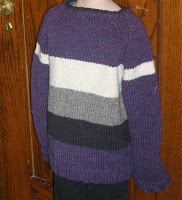 I knit it as dense as I could, because after the fifth patch on the old Stripe Freestyle? I got tired of darning and knitting whole new sections of the old sweater! The dense knitting caused me a little nerve pain and muscle irritation (I have a good physio/physical therapist) so I didn't get this done as fast as I had hoped. 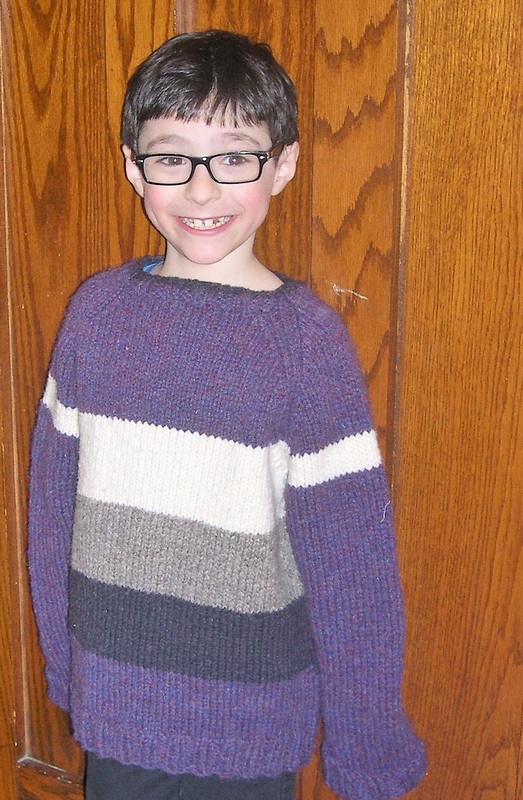 However, we had fresh snow and big winds today, so he was well-pleased to march off to the school bus in his parka and snow pants ....and a new sweater. 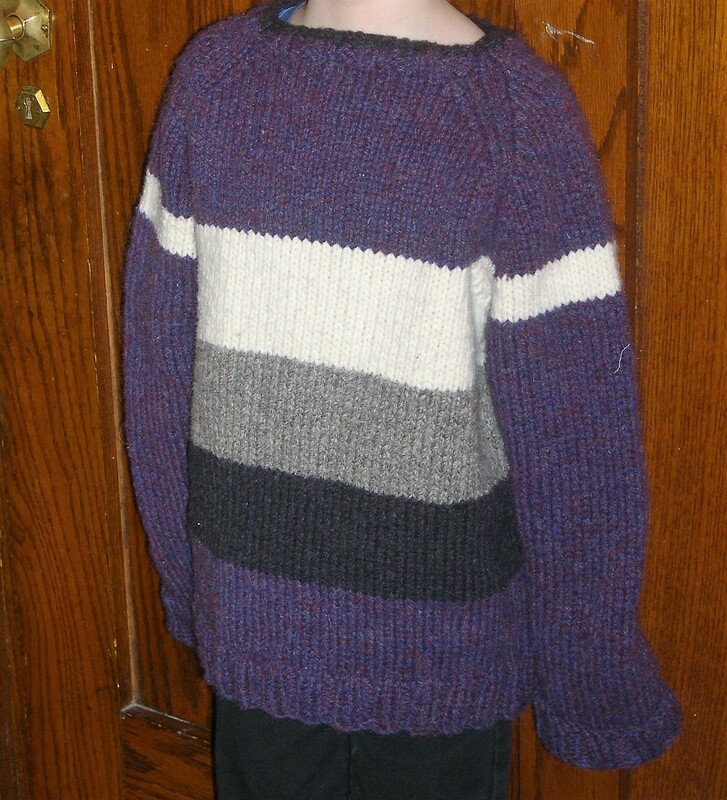 Happy new sweater in March---in like a LION!